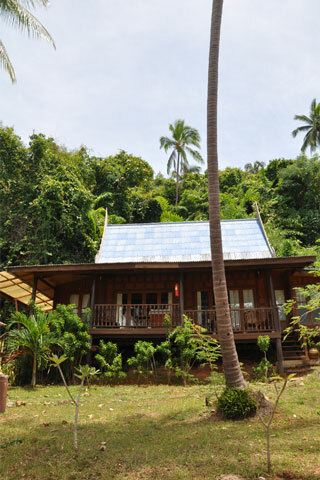 Ko Talu Island Resort sprawls along the western edge of Ko Talu offering a variety of midrange accommodation options for those who prefer to visit for longer than a few hours. Ad Book now! Rates from US$192++. Average rating 8.1 from 61 reviews. The island, and especially the main beach, are quite lovely, with gleamingly white sand, hammocks strewn here and there, a beach bar and a restaurant perched overlooking the bay. The accommodation itself though isn’t quite so hot and while the rooms are very spacious and mostly well appointed, they’re in need of a solid refurbishment and were they anywhere other than this beach we’d say they were totally overpriced. Given the setting however, they’re barely average value. There are a few varieties of rooms, and if you’re travelling with the family, plenty of space for a space bed helps as a sweetener. Food is good and, unlike the coastline, you’re perfectly placed to take in the sunset. Overall, we’d say you’re better off staying on the mainland and visiting on a daytrip, but other guests we spoke to were extremely positive about the resort.